It seems like forever since 1999’s The Blair Witch Project shook up the horror world. Its innovative found footage videocamera style kicked off a wave of similarly shot films that’s made the idea feel like old hat today. However there’s a direct sequel being released in a couple of months made by one of the most capable writing/directing pairs in the horror business and early reviews are universally strong. Blair Witch is back. 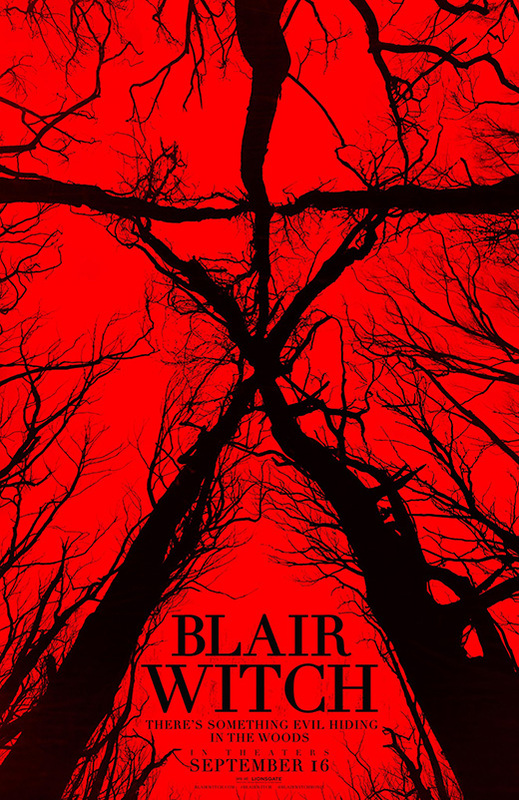 In fact this is really Blair Witch 3, because just one year after The Blair Witch Project came its follow-up Book of Shadows: Blair Witch 2, a textbook definition of how not to sequelise a hit. It wasn’t even shot in the same way, dropping found footage for a traditional filming style, directed by someone who was famous for making documentaries rather than horror. It killed the franchise. A collection of top web critics have already seen the movie and their reviews have been universally enthusiastic, describing it as a constant terror-fest. Public enthusiasm for the franchise was thought long gone but has just been lying dormant (everyone seems to recall well their experience with the first), with the trailer totting up 4.5 million views in a week. The trailer itself isn’t all that effective, more of a beat-for-beat retread, but it seems clear that it’s the trailer’s fault, not the film’s. Blair Witch is released in the UK on 15 September and the US on 16 September.